Are you looking for a sneaker that will suit your need when you are training or you are in a gym? 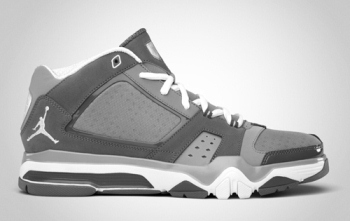 If you are, then don’t miss the new colourway of the 10th signature shoe of Derek Jeter with Jordan Brand. Scheduled for release this July 2011, the Jordan Jeter Cut will be available on Stealth/White-Light Graphite colourway, which looks simple at first glance but will definitely raise a lot of eyebrows this month. Featuring a touch of leather in front of the toe box, this cross-training shoe is expected to make waves this month so consider buying it and you’ll never regret it!